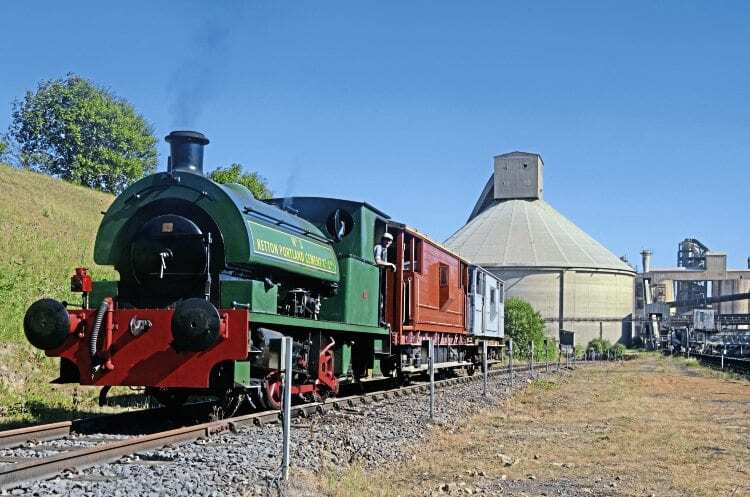 THE Chasewater Railway’s Bagnall 0-4-0ST Dunlop No. 6 spent the weekend of June 30-July 1 at Hanson Cement’s works at Ketton, Rutland, to take part in the works’ annual open day on the 30th. With the help of tank side vinyls the Bagnall assumed the guise of Ketton Portland Cement Co Lt No. 3, pictured here during a photo charter on July 1.